What all of these Internet of Things (IoT) devices – as many as 50 billion of them by 2020 – have in common is that they create detailed data about their users, and lots of it. From transactions and customer profiles to usage patterns and even location, the Internet of Things is really an Internet of Data that is begging to be cross-referenced and analysed. It exists not to help people per se, but as a new tool for collecting valuable business intelligence. We asked a few business intelligence experts for their views on the Internet of Data – what it is, how it's organised and how organisations should best make intelligent, but ethical, use of it. 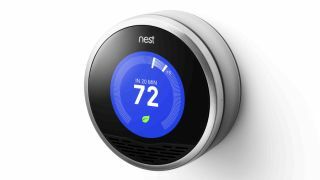 "By storing and analysing this data, companies have the opportunity to gain valuable business insight from IoT," says Matt Pfeil, Chief Customer Officer and Co-founder at big data applications company DataStax, who gives an example of a device that is being internet-enabled – the thermostat. "Now you get a clear picture of how much energy is being used, when it is being used, and can compare this to other energy users," he says. "Link this up to other account data, and the company can observe patterns to save energy – for example, setting the default temperature a degree cooler at installation." It may seem a trivial amount, but across millions of devices it adds up to a huge amount of savings for customers. "As more devices connect to the internet, the data they create can be linked together, and if you don't have that record over time, you can't get value from it," says Pfeil. "Time-series data provides the potential for insight around how we live and interact with our homes, our jobs and our cities." Companies are collecting data from all quarters to gain insight, but it's not just about understanding customers' 'buying journeys'. "Operations and supply chain data would not normally be looked at alongside sales data, as they are viewed as separate departments within the business," says Southard Jones, Vice President of Product Strategy at business intelligence and analytics company Birst. "However, using analytics, you can see if there are common patterns in the customer base – are customers that spend more on service levels or speed of delivery more profitable than those that focus on price alone?" This analysis then allows marketeers to target potential customers based on their favourable patterns of behaviour, whether that be the time and location they use an app, how and when they heat their homes, or – in the near future – when and where they drive their car. Is money being wasted on collecting useless data? With MarketsandMarkets predicting that the big data market will hit $46 billion (around £30 billion, AU$65 billion) in value by 2018, there has been much investment going on. Existing systems and software are creating a lot of the data that companies collect. "A lot of money is being invested for potentially minimal short-term return," says Gordon Fletcher from Salford Business School's Centre for Digital Business, who thinks that the potential of big data is in the interconnections and interrelationships it will reveal, not the volume of it collected. "Realising the benefits of big data in the sense of interconnectedness will inevitably take time and investment," he adds. Since the cost of storage has plummeted, this is at little cost to businesses. "When storage costs peanuts, it becomes more economically viable to store data that you can create value from over time," says Pfeil. "Each transaction that a customer takes part in can create more value for the future, improving the service or providing further opportunities – the opportunity cost of not storing that data is less than the investment required to keep it."